The Camanche School District is fortunate to be a part of a partnership with ACT and the Mississippi Bend AEA in making several assessments available to our students. 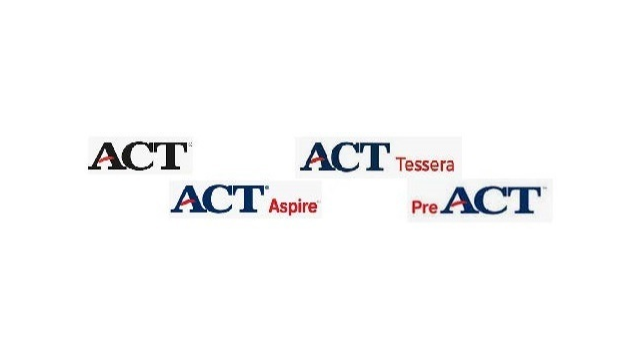 These include ACT Aspire, ACT Tessera, PreACT, and of course, the ACT test itself. Camanche students in grades 3 through 10 take the ACT Aspire assessment. Why should our students take ACT Aspire? This question is perhaps best answered in the following quote from ACT. “Research shows that the earlier we measure progress toward meeting educational standards, the more we can strengthen a student’s chances to stay on target to succeed, and ultimately, be ready for college and work after high school.” Our students have taken this assessment this past November. Our students in grades 6 through 10 take the ACT Tessera assessment. This assessment provides feedback regarding a student’s skill levels in the areas of tenacity/grit, organization/responsibility, teamwork/cooperation, composure/resilience, leadership/communication style, and curiosity/ingenuity. ACT points out that, “Research shows that strong personal skills help students succeed in school, at work, and throughout life. And there is also evidence that these personal skills can be easier to improve than academic ones.” Our students in grades 6 through 8 will take this assessment on January 22nd, 24th, & 25th. Grades 9 & 10 will take this assessment during the week of January 28th. In grade 10, our students take the PreACT. This assessment predicts future success on the ACT test, and provides both current achievement and projected future ACT test scores. ACT shares with us that, “Schoolwide adoption of the PreACT improves ACT test scores, interest-major fit, and college score-sending behavior.” Our sophomores are scheduled to take this assessment on January 29th. In grade 11, our students take the ACT. “The ACT is the leading US college admissions test measuring what students learn in high school to determine their readiness for college.” Remember, even if college is not in your student’s current plans for the future; having acquired the skills and knowledge levels required for success in the first year of college will be an important asset for them as they enter a career of their choice. Our juniors are scheduled to take the ACT tests on April 2nd. We are very pleased to be in a partnership which offers these assessment opportunities to our students. To learn more about our partnership with ACT and the Mississippi Bend AEA, please feel free to call your child’s school office.